The Current Audition Magazine announces the 2012 Conference will be in Las Vegas, Nevada, Sept 9-12 2012. 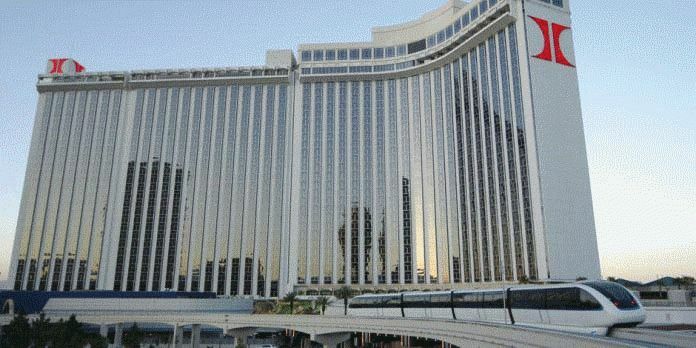 The Las Vegas DJ Show is offering discounted passes to ANYONE that signs up before May 30st 2012 you can buy your pass at the 2011 ADJA Member price of $49 regardless of being an ADJA member or not! This represents a tremendous value for everyone. The Las Vegas DJ Show is proud to announce the addition of the CPS Summit to the Conference Line up. The CPS Summit is the premier gathering for digital DJs using computers or digital media players as playback devices. This Summit brings the best & brightest of the digital DJ gurus to the stage. This is the event that you don't want to miss. All included in your $49 pass to the Las Vegas DJ Show..
Our Platinum sponsor the American DJ Family of companies will once again be hosting a poolside reception & party Cool by the Pool on the 3rd floor pool deck from 4-8pm Monday night.It will be the perfect way to unwind after a day of learning from the best & brightest. The pool will be warm & American DJ will have free drink tickets on a first come first served basis for the first 250 passholders to hit the Cabana. This is the best way to watch the sun go down on Las Vegas! All free with your conference pass. Courtesy of American DJ! The incomparable Las Vegas Marquee Night Club will play host to show attendees on Monday night! Normally this is a $50 cover, but with your show badge you get in FREE! Not to mention that for the first hour, they are giving every show attendee an open bar with their show pass. The Marquee has a dress code so dress to impress, this is the A-List club in Las Vegas, You never know who you might run into there. Now that's first class treatment. It's everything you have come to expect from The Las Vegas DJ Show & the Marquee Night Club! 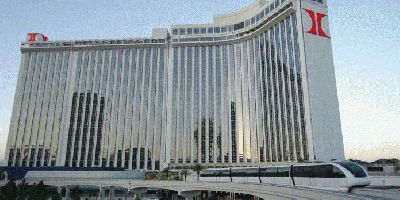 We are excited & inspired to have The Las Vegas DJ Show at such an upscale, gorgeous property as the LVH. This is a premium property with plenty of onsite entertainment & dining options. As in past years we will have food available for sale right outside of the seminar rooms & exhibits. Tables & chairs will be set up for plenty of networking with friends. The LVH is a wonderful place to bring your spouse or family with you. It is a very family friendly resort. The weather will be incredible, the strip will be jumping & the entertainment first class. Keynote is iconic DJ Richard Blade. He will inspire you & motivate you. He pioneered Music Video in the 80's starting Video One. Now add in over 35 Seminars for your educational enlightenment, Top presenters such as Casey Eberhart, Alan Berg, Larry Williams, Randy Bartlett, Scott Faver, Brandon Lindsey, Todd Mitchem & many, many more. A designated networking cafe with tables & seating & you have a first class conference provided to you at a bargain price. The Las Vegas DJ Show is also offering a imited time opportunity for DJs to really save. buy your pass today, & be one of the first 150 to book your room at the host hotel the gorgeous LVH & your pass will be refunded! How is that for a deal? Now add to it over 60 exhibitors offering the hottest deals on the latest gear & value, well it just becomes explosive!